A domestic short-haired cat in poor body condition was taken to an animal shelter. This parasite was combed from the cat’s hair. This is Felicola subsotratus, a chewing louse of cats. Note that the head is nearly as wide as the thorax, which allows this louse to feed on tissue debris. 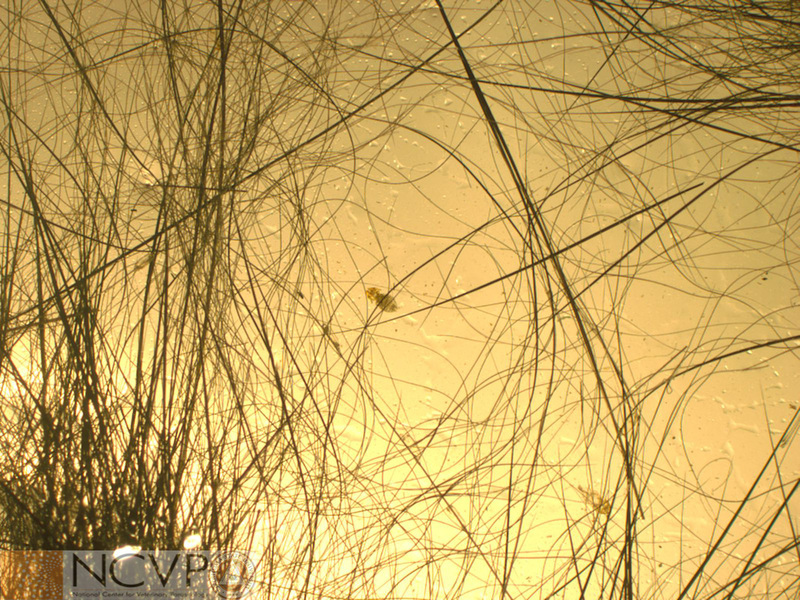 The wider head is characteristic of chewing lice, in contrast to sucking lice, which have a narrower head to facilitate blood-feeding. 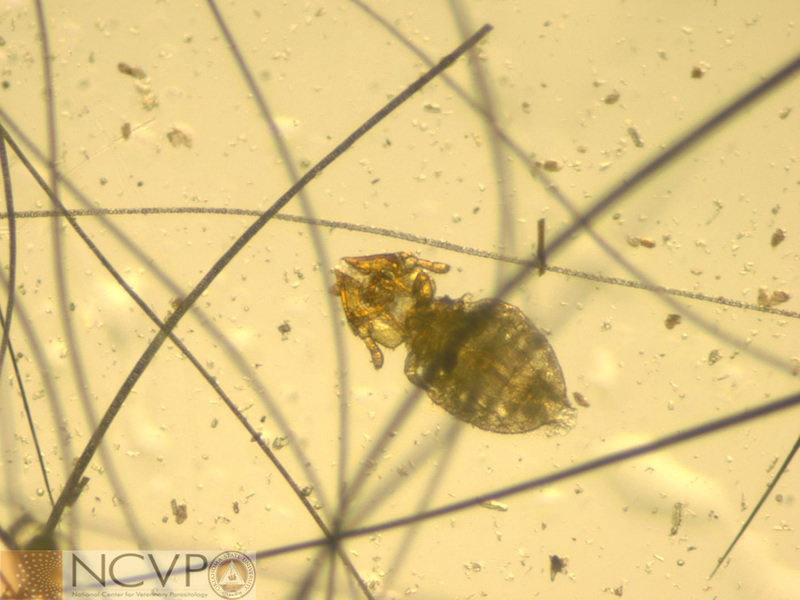 This louse also has characteristically angular mandibles. Typically only older cats that do not groom themselves thoroughly or distressed cats become infested with lice.